Gardens, cathedrals, condominiums and fashionable interiors: the animal kingdom is full of talented architects. Most of the species build up rough dens to inbreed and protect their offspring from predators; but some of them have a marked passion for design. If beavers focus mostly on the scope of their constructions, bowerbirds build impressive colorful nests, while the tiny red velvet mites grow love gardens. 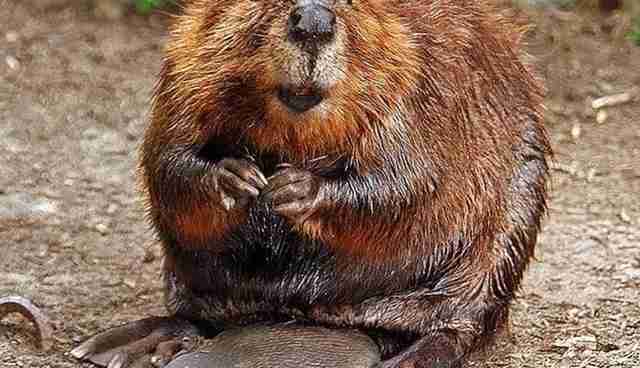 We all know about beavers' building skills, but Canadian beavers are workaholics. 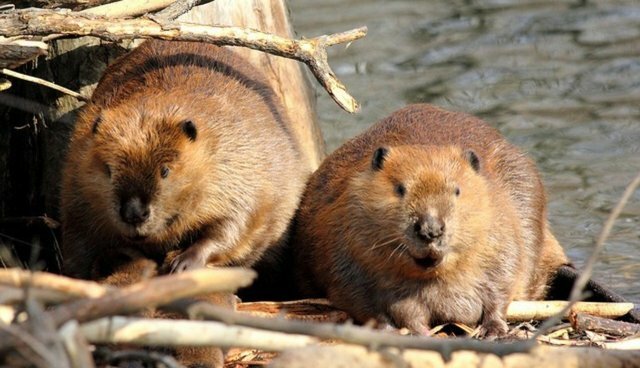 A colony living in Northern Alberta discovered the world largest beavers' dam in the world. It runs for 850 metres on the southern edge of Wood Buffalo National Park and its profile can be seen from satellites such as Google Earth. Dams are intended to protect these semi-aquatic rodents from land predators like foxes and bears. According to scientists, the Canadian Great Wall's construction started over 20 years ago, so different generations worked side by side to raise it. 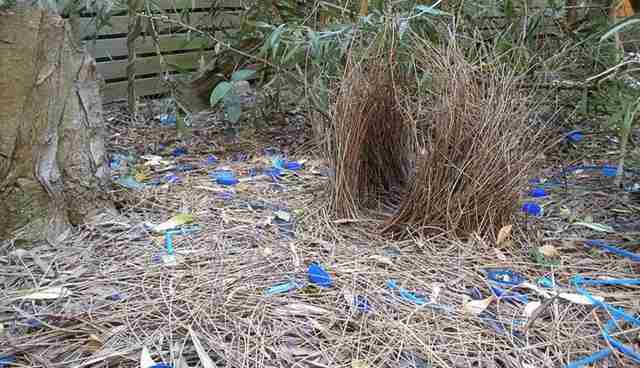 It hasn't got a mini-bar or a WiFi, but the bowerbird lives in a refined and elegant bachelor pad. With the coming of the mating season, this bird, living in New Guinea's mountains, collects wooden sticks to build a cosy love nest for dating. The residence can have two different architectural styles. In the "maypole" one, the sticks are mingled together so to create a tent-shaped structure; while dreamers prefer the "avenue" style bower where the material is arranged vertically into a sort of arcade. Once the flat is done, the rampant bowerbird works on the design and decorates the ambience with colored shell, stones, flowers and man-made objects. In some nests a carpet of moss is placed at the entrance, while iridescent feathers offer comfortable cuddling spots. Once engaged, the new couple leaves the bachelor pad for a bigger and more family-friendly nest. 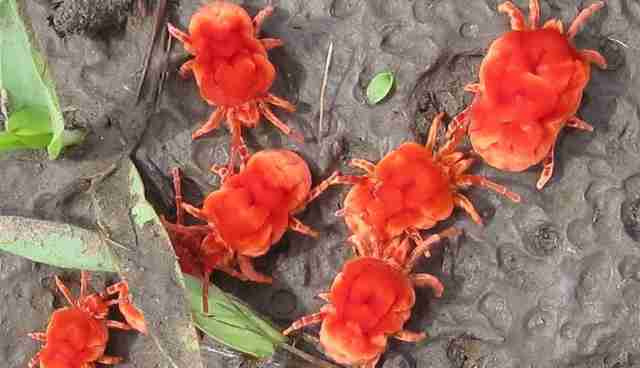 Flirting stimulates red velvet mites' designing skills, too. Once mate season rolls around, this little insect - which rarely reaches 2 cm of length - starts to work on what the scientists call "love garden". It is a structure composed of small twigs, stalks and leaves glued together with sperm. When the garden is finished, the velvet mite lays a silken trail that leads to the entrance of his tiny shelter. It will stand at the end of its hand-crafted red carpet and wait for females to come around. To attract females' attention, the male performs a ritual mating dance inviting its potential partners to enter the fecund garden. Termites think big, they do not build common houses, but they erect cathedrals. Realized with chewed remnants of trees, mud and excrements, these iconic structures can reach up to 2 metres in height. They are natural skyscrapers equipped with all the comforts: air-conditioner, nursery and indoor gardens. A complicated network of tunnels connects the different part of the building, while a web of chimneys allows air circulation assuring the colony an air-conditioned ambience. There are nursery areas for new-born larva and some colonies maintain inside gardens of fungi. If bowerbirds and red velvet mites are romantic old-fashion gentlemen, Social Weavers birds are pragmatic contractors. 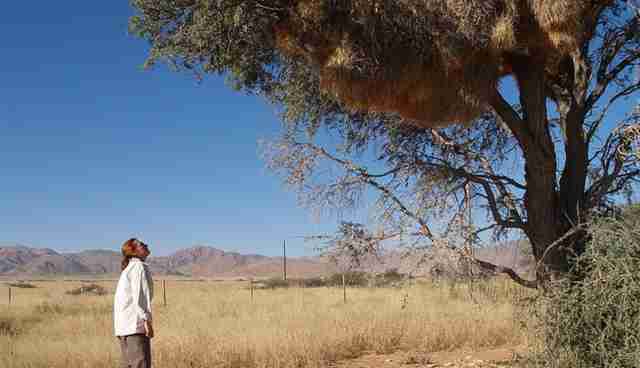 Their nests are the largest built by any bird and are permanent, so they can host generations of fowls. The nest is composed by several chambers each housing a pair and its offspring. The central area retains the heat and it is used by birds for night time roosting. Outer sections of the building are used for day time shades. The spare flats are "rent out" to other bird's species, most commonly the Pygmy Falcon. The condominiums look like giant haystacks hanging between trees' branches. Each flat has its own entrance at the bottom of the building protected with sharp sticks to prevent predators from entering. By Cristina Nanni Cristina Nanni is an Online Journalism Intern at Frontier, an international non-profit volunteering NGO. Frontier has over 300 dedicated conservation and community development projects as well as plenty of inspiring gap year ideas to help make your time out meaningful. For more information on all the opportunities available please visit www.frontier.ac.uk. Check out Frontier's blog ‘Into the Wild' where you can read more articles like this! Happy reading! Get more from us on social media with Facebook, Twitter, and Pinterest. See more from volunteers on YouTube, Flickr and Instagram #FrontierVolunteer.